The problem is recreating that ideal pie at home is nearly impossible without spending thousands to install an actual wood-burning pizza oven in your backyard. Enter Al Contarino, an inventor who grew frustrated while trying to cook pizza on the grill only to find that the cooking process would stall every time he removed the lid and allowed the stored heat to escape. 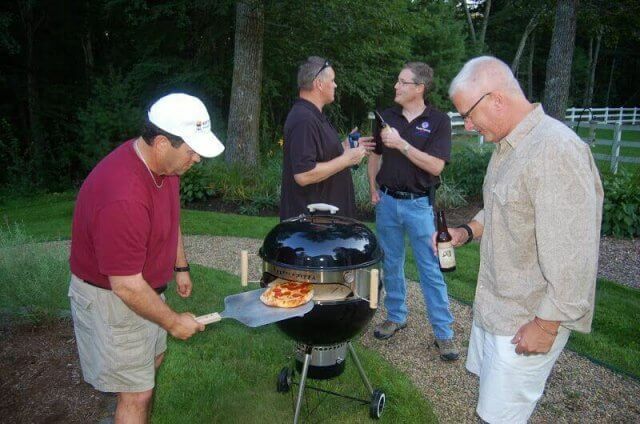 Following much trial-and-error, in 2010 Al developed a prototype for a pizza oven insert that fits common kettle-style charcoal grills. 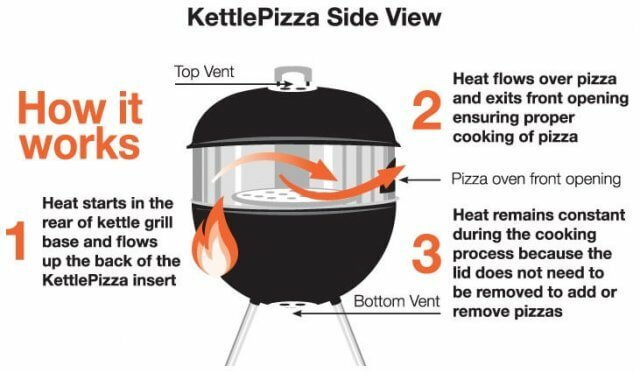 And thus KettlePizza was born, allowing users to cook pizzas on the grill without removing the lid and thereby retaining the necessary heat (and flavorful smoke) to achieve wood oven results. So why does it work? 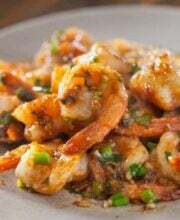 Cooking great pizza requires two things: a real wood fire and consistently high cooking temperatures. Using the KettlePizza with a mix of charcoal and hardwood can yield temperatures well in excess of 750F degrees, something that is impossible to do in a kitchen oven or on a gas grill. Since the lid does not need to be removed throughout the cooking cycle the temperature remains constant and a pizza can be cooked in as little as 3 minutes while ensuring the end to the overcooked bottoms and under cooked tops which is the common result when cooking pizza on an outdoor grill. 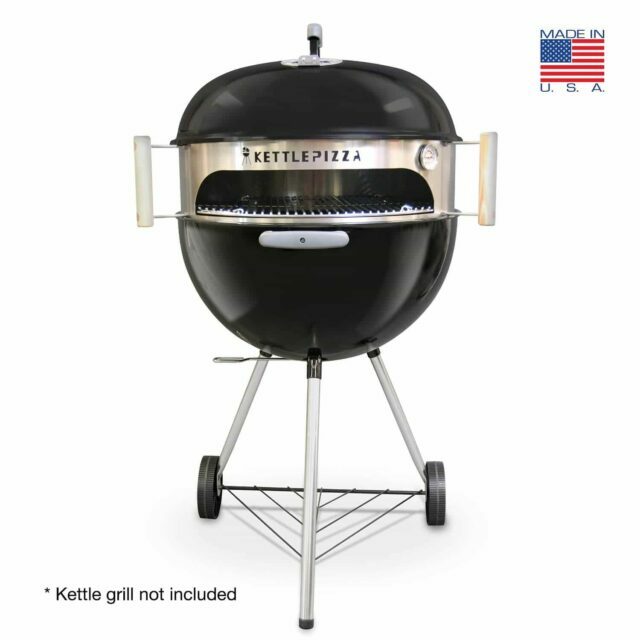 Made in the USA, the kettle pizza insert is expandable to fit either and 18.5” or 22.5” inch kettle-style grill like the Weber Original Kettle, and comes in a variety of kits – from the basic kit featuring the insert and aluminum pizza pan priced at $139.95 to Serious Eats special edition kit ($429.95) featuring a tombstone-shaped pizza stone, a firebox insert for achieving higher temperatures, and a stainless steel stop that creates radiant heat directly above the pizza. 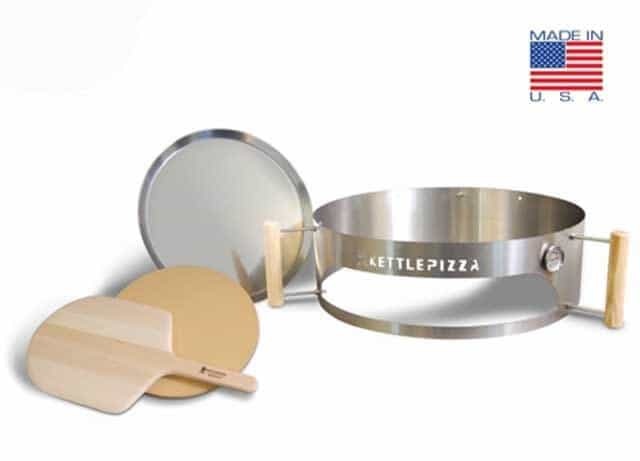 By far the most popular kit, however, is the KettlePizza Deluxe USA kit that includes the insert, an aluminum pizza pan, a high heat cordierite pizza stone, and an aluminum pizza peel. Available for $199 .95 at Walmart, Crate & Barrel, Amazon.com, KettlePizza.com, and other retailers, this is the perfect package for anyone who wants to recreate their favorite wood fired pizza at home. To kick off the grilling season in style, we are giving Steamy Kitchen readers a chance to win their very own KettlePizza Deluxe USA kit! Simply enter using the form below! 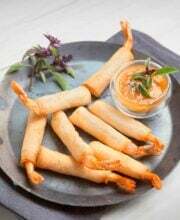 KettlePizza provided product for giveaway.